A farmer in south-western France has gone on trial on charges of helping illegal migrants "enter, move about and reside in" France. If convicted, he faces up to five years in prison and 30,000 euros in fines. Cedric Herrou is alleged to have transported more than 200 migrants from the commune of Ventimiglia, located in Liguria, northern Italy, to France, according to French media. Most of the migrants reportedly came from Eritrea and Sudan. He is one of three people to stand trial in southern France for assisting migrants, AFP reports. The man welcomed migrants at his small garden where he let them live in tents or caravans, French news outlet 20minutes.fr reported. Herrou has said he's doing his civic duty and has vowed to go on with his activities. “If we have to break the law to help people, let's do it!” Herrou told supporters outside the Nice courthouse on Wednesday. Herrou is expected to be sentenced on 10 February, according to Franceinfo journalist Simon Gourmellet. #migrants Fin de la plaidoirie. Le délibéré sera rendu le 10 février à 8h30. Initially the trial was expected to take place in November 2016; but it was postponed until January. Herrou was released in November but was placed under judicial control. The case has triggered a response from local residents with activists planning protests near the courthouse. Some 300 people gathered outside the courthouse on Wednesday. In October, Herrou along with a group of supporters, opened an abandoned holiday village to migrants which belongs to the French state railway company SNCF. Police arrested him three days later. In August, Herrou was arrested for smuggling eight Eritreans in his car into France. However, the case collapsed when prosecutors decided he acted on humanitarian grounds, AFP reports. It’s not the first time that Nice has brought criminal charges against its citizens for helping migrants. In November, Pierre-Alain Mannoni from the Nice Sophia-Antipolis University’s research laboratory stood trial for transporting illegal migrants in his car. In his defense, Mannoni said that his act was merely a “gesture of humanity.” The verdict is expected to be pronounced on 6 January, according to 20minutes.fr. The Nice public attorney has asked for a six-month suspended sentence for Mannoni. Almost 180,000 people crossed the Mediterranean from North Africa into Italy between 1 January and 19 December 2016, according to the UN International Organization for Migration. 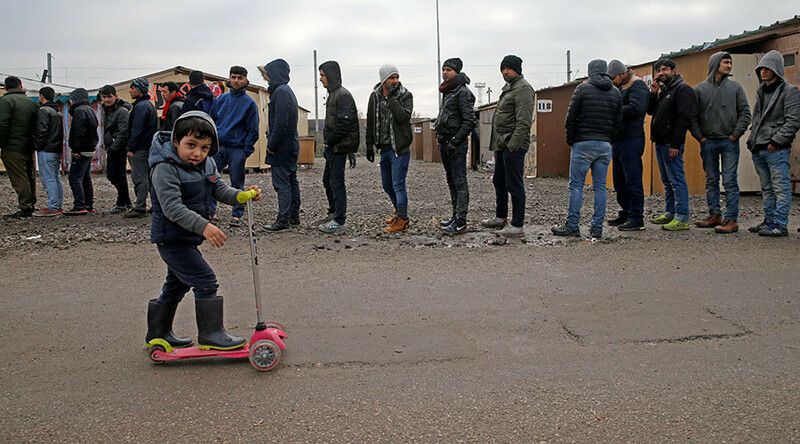 Many European countries, including France, have tightened borders controls and have introduced more rigorous checks to stem the influx of migrants.